'Bialy Posag' (Zbigniew Kilimnik, R. 2008). Seedling# ZK-01-18-B. TB, height 38" (97 cm), Midseason bloom. 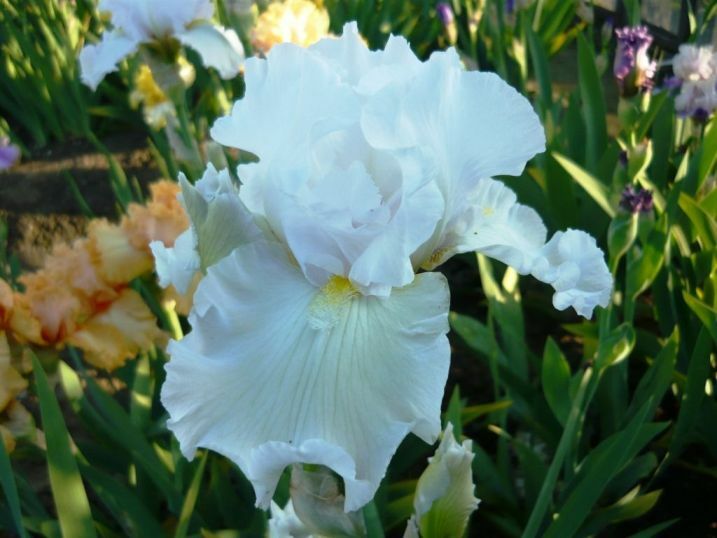 Standards white, opens pale lilac; style arms and falls white; beards white tipped yellow, white at end; ruffled; spicy fragrance. 'Silverado' X 'Lady Madonna'.